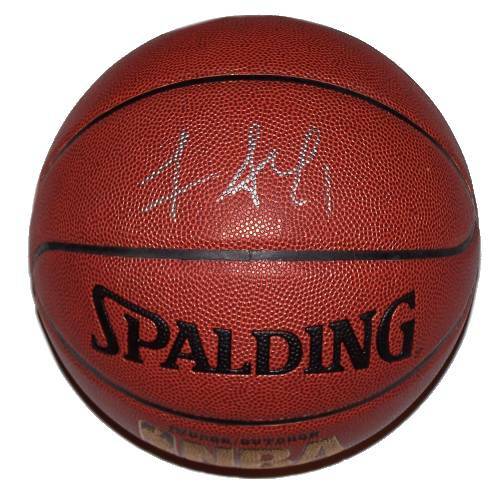 A Spalding NBA basketball signed by Amare Stoudemire of the New York Knicks. Comes with a Certificate of Authenticity. 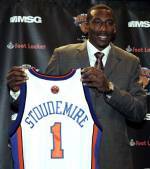 Amar'e Stoudemire is an American professional basketball center/forward for the New York Knicks. Taken in the first round and with the ninth overall pick in the 2002 NBA Draft, he spent the first eight years of his career with the Phoenix Suns as a power forward. Stoudemire won the NBA Rookie of the Year Award in 2003, made six appearances in the NBA All-Star Game, made first-team All-NBA Team in 2007, and won a Bronze Medal with the United States men's national basketball team at the 2004 Olympic Games. ~ Wikipedia.